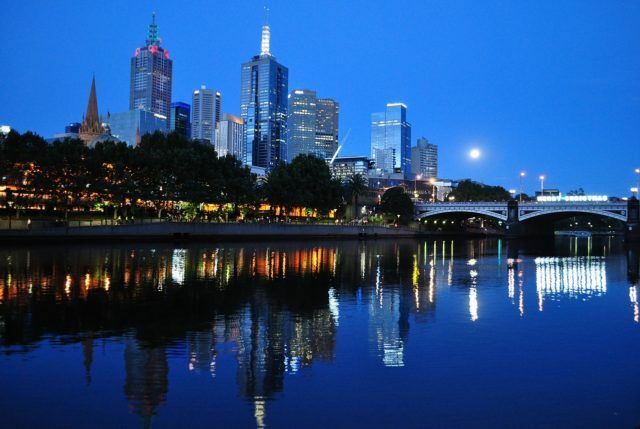 Melbourne & Olympic Parks (M&OP), home of the Australian Open Tennis Championship, will for the first time preview its new world-class function and media centre at the Asia Pacific Incentives Meetings & Event (AIME), held in Melbourne on 18–20 February 2019. Delegates attending AIME 2019 will have the opportunity to be the first in the world to book the new event space, scheduled to open in February 2022, and also enjoy an exclusive sneak peek of the centre’s unique attractions through an immersive experience – all within a monumental cube. While the contents of the cube are being kept secret until its reveal at AIME, it has been confirmed that delegates can expect a bespoke journey guided through elements of taste, design and exceptional service. “The concept of our AIME stand was simple – to make our cube the centrepiece of the AIME show floor, much like how our new centre will be the “centrepiece” for business and social events at our world-class precinct”, said Lara Burnes, General Manager Premier Events & Experiences, M&OP. Standing four meters tall, the cube, crafted by the award-winning design team at Harry the Hirer, will be the first structure of its kind to be seen at an AIME event. Currently, in the third and final stage of its $1 billion redevelopments, M&OP’s new events center will pay homage to the Australian landscape and promises to elevate the parks’ capabilities yet again to sit alongside some of the world’s most famous venues. With the precinct located on the edge of Melbourne’s vibrant CBD, we’ve designed our new center to capture the magnificent beat of the city, while also having the flexibility to allow events to create their own bespoke identity. With spaces for both grand and intimate events, the new center’s fundamental purpose is to enhance experiences and leave guests talking about your event long after it’s over. The cube will offer a taste of what this will look like, and they can’t wait to showcase it to the world, said Burnes. Civic in design, this architecturally impressive function centre is quintessentially Melbourne and will include 8m- high ceilings and floor-to-ceiling windows that will project natural light across a generous 2000sqm pillarless ballroom and 800qm pre-function area. On two levels, the top floor will feature a 250-seat auditorium, an abundance of breakout rooms and an outdoor terrace with uninterrupted views of the Melbourne city skyline. With under a week until AIME 2019 commences, don’t miss out on your chance to experience the new function and media center at the M&OP stand. Limited bookings are available.